One of the best things about being a digital nomad is the experience we gain living and traveling around different places. As a city of vibrant culture and interesting history, Medellín has a lot to offer when it comes to fascinating and educational activities. Here are some epic ones we’ve tried out and recommend you should experience yourself! For walking tours, there are two big ones you shouldn’t miss. Even better, they’re both “free”, or donation-based. You take the tour, get the culture, and in the end, you decide on its value based on the quality of your guide and the experience. Pretty cool ha? 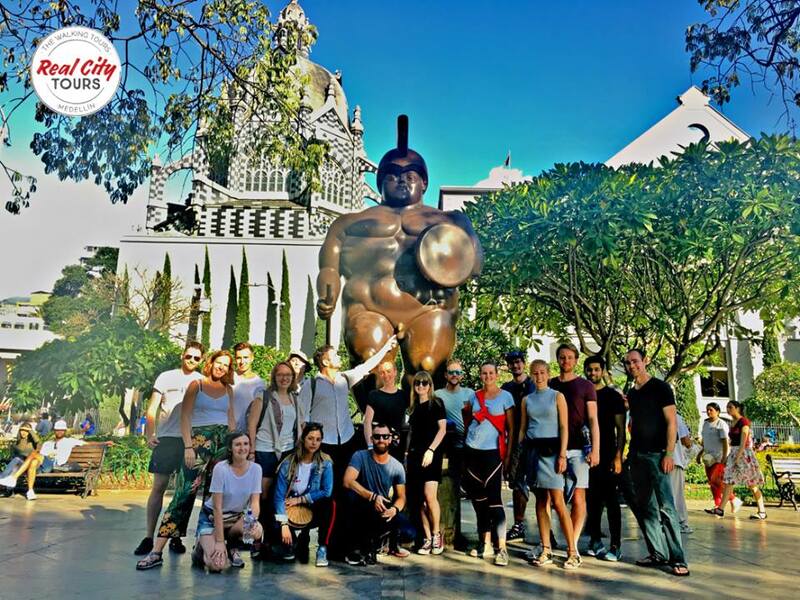 Real City Free Walking Tour is the number one tour we recommend taking within the first week of your arrival in Medellín! The tour goes through the heart of the Centro area in Medellín. Not only will you see the most vibrant commercial area of Medellín where locals actually shop, but you’ll also get to try delicious Colombian street food, walk through traditional parks that people still gather (and dance) in today, and get to know an insider’s perspective on Colombian culture from a local guide. This 3.5 to 4-hour detailed walkthrough of present-day Colombian culture will be your gateway to understanding the contemporary Medellín. If you plan to go on this tour, make sure you sign up ahead of time. The slots tend to fill up fast! Our second highly recommended tour is a free Graffiti tour through Communa 13. 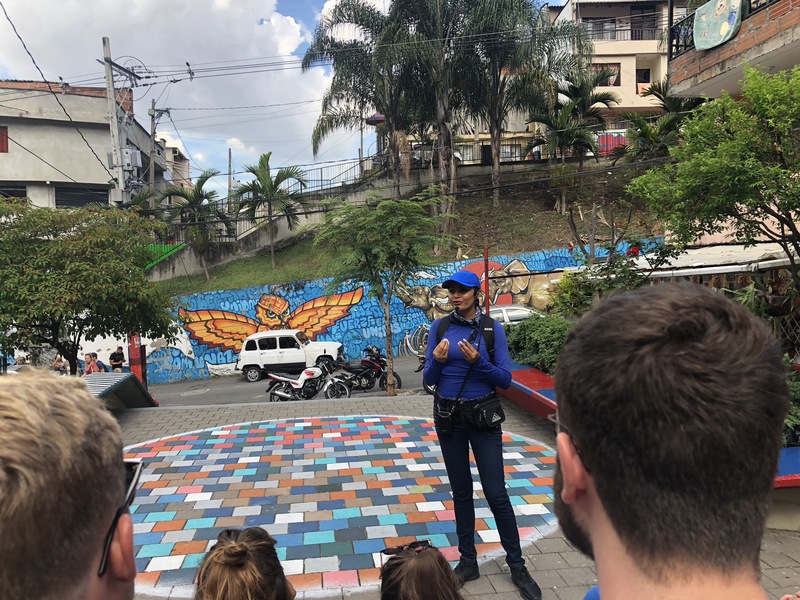 Unlike the Real City tour, which focuses on the Medellín of today, this tour takes you back to one of the most dangerous communities in Medellín at a time when the city was the most dangerous place on Earth. But don’t worry! Communa 13 has transformed so much in the past few decades that it’s not only safe to walk through with your guide, but it also serves as a snapshot of just how far the city has come. Since the community is located high up a hill, you’ll not only get to try out the famous escalators and take pictures with local graffiti, but you’ll also be treated to epic views of Medellín from high above. If you are interested in boosting up your fluency in Español, there is no better way than going to chat with locals in a language exchange. 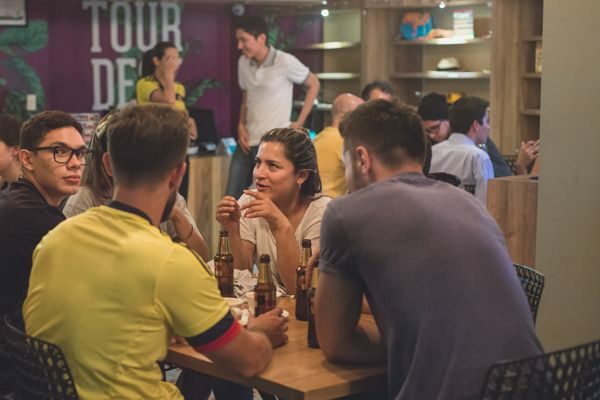 The most popular language exchange in Medellín happens at the Toucan Cafe. As a part of the larger Toucan Spanish School, this cafe offers regular language exchange every Tuesday, Wednesday, and Thursday from 6-8pm. Within two blocks of Parque El Poblado, you can enjoy a good cup of coffee and make some new local friends. All of the language exchanges are walk-in, so there’s no need to stress about signing up ahead of time! Let’s face it, we’re in Colombia. There’s no way to avoid adding some salsa to your local experience. The most highly recommended salsa school is Dance Free. Conveniently located in the El Poblado area, this school offers group classes, private classes, and dance socials. My friend took ten private classes there and she’s absolutely in love with the school and salsa now! We all know that Medellín had come a long way from its violent past. Although the average person today focuses on seizing the day and enjoying the moment, there are important lessons in the past that can teach all of us a thing or two. 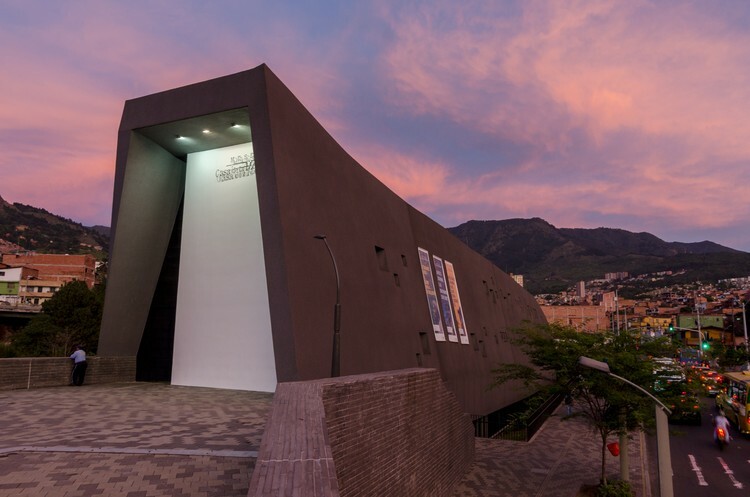 Museo Casa De La Memoria is a place set up for this purpose. Literally, the museum is called “The House of Memory”. As a physical and symbolic place to remember the past while looking for hope in the future, this museum is one of the most informative places to visit if you want to learn more about the history of Medellín. The museum is open from Tuesday to Friday, 9am – 6pm, and Saturday, Sunday, and all holidays from 10am – 4pm. Entrance is free. Jardín Botánico is one of the best botanical gardens in Medellín. This free private garden is an especially popular weekend destinations for local families. It is open to the public every day from 9am to 4:30pm. 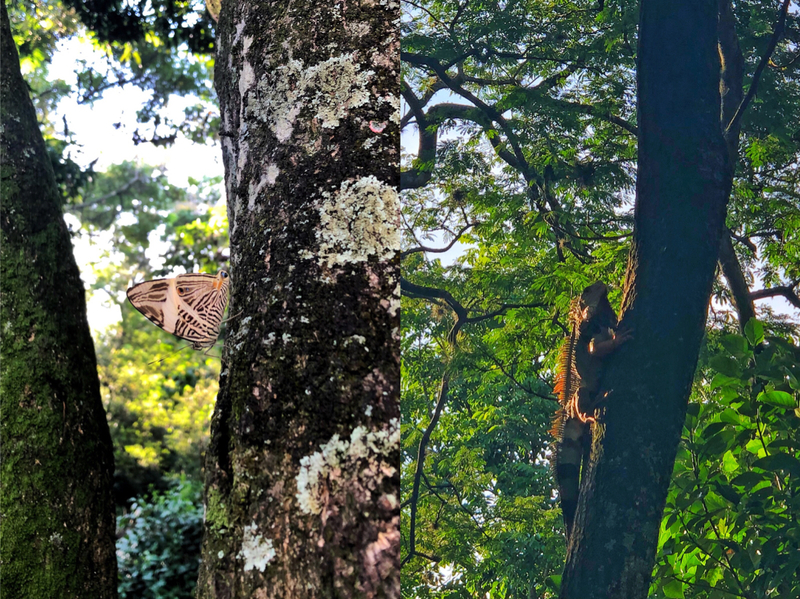 Colombia has some of the most diverse fauna and flora on the planet, so it’s well worth going to get a taste of the exotic within the reach of the city. Additionally, you may want to check out the Green Market (Mercado Verde) in the Patio de las Azaleas area within Jardín Botánico, every first Sunday of the month from 10am – 5pm. It’s a farmer’s market that sells organic produce, as well as cooking, health, beauty, and local arts and crafts! 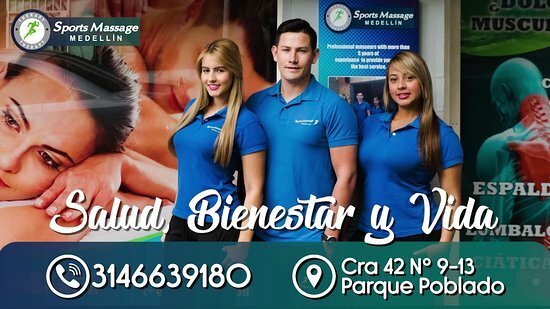 “It’s a no-frills spot, but if you want a so-intense-it-almost-hurts massage to ease your aching muscles after climbing El Peñón de Guatapé or working on your laptop too much, I definitely recommend it! As with most places in Medellín, you will need some Spanish, so Google Translate is your best friend if you’re nervous about your speaking skills. What awesome things do you enjoy doing in Medellín? Comment below and share your thoughts with the 7in7 community!